New Zealand and Australia are two countries, many Filipinos want to work for. But for some, they don't know where to start in applying for a job in the said countries. So if you are one of them, this post might help you! We compiled here licensed recruitment agencies that are now hiring for New Zealand and Australia. Jbsolis.net is NOT a recruitment agency and we are NOT processing nor accepting applications for jobs abroad. All information in this article is taken from the website of POEA — www.poea.gov.ph for general purposes only. 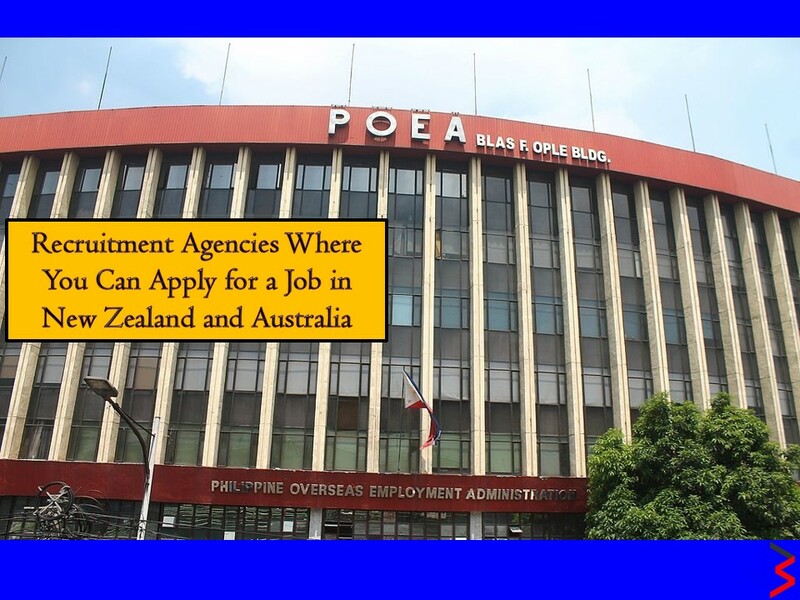 Interested applicant may double-check the job orders as well as the licensed of the hiring recruitment agencies in POEA website to make sure everything is legal. This article is filed under jobs abroad, licensed recruitment agencies, hiring Filipino workers, Filipino workers, local employment opportunities, and employment site.